The CL-E6 6.5" Component driver with "Contoured Dispersion" provide the ultimate solution to the sonically intense reverberant field car audio environment. 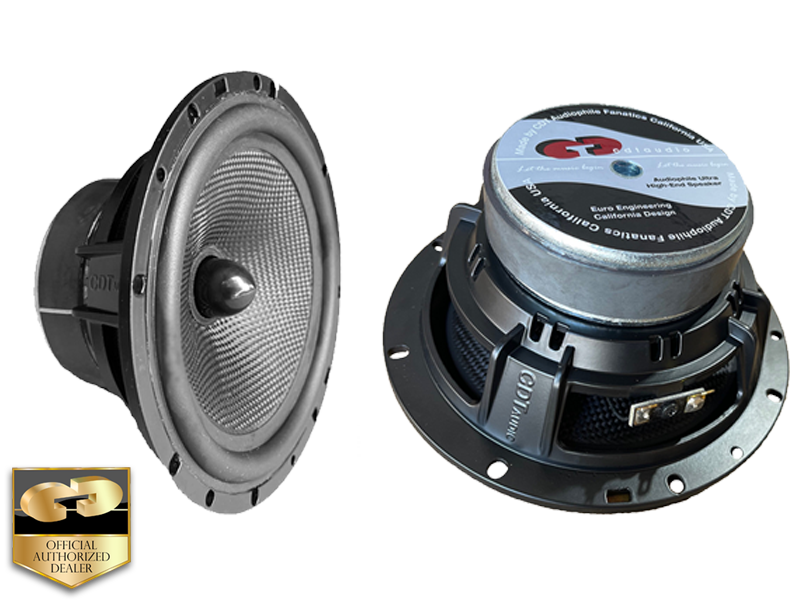 Most factory audio speakers are located in the same place, and most of our competitors take the "shotgun" approach with a multiplicity of desparate sound sources. The CL-E6 driver system provides single mounted Contoured Dispersion door mounted system w/CDT UpStage tweeters produces a sonic image that virtually appears "right in front" of you. It offers maximum sound definition with a minimum of drivers. This means it’s also very easy to install. Simplicity at it’s best. They’re competition quality and they literally shape the sound so it appears where it’s suppose to be. Up front and on the Beat.